On the Mayor's Mind: Happy Thanksgiving! Core Hero is made with local apples grown in Edmonds, Eastern Washington and Lopez Island, as shown here just before picking the 2015 harvest in October. There’s a new way to enjoy cranberries with your Thanksgiving dinner — or anytime — and it’s handcrafted in Edmonds by Core Hero Hard Cider. Apple cranberry hard cider is one of two varieties launching in November after the drinks’ prelaunch at the Edmonds Summer Farmers Market. 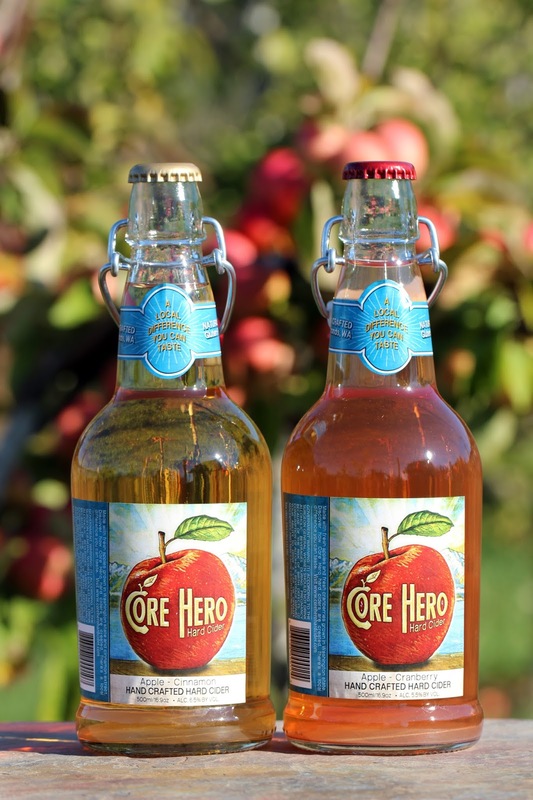 Core Hero is launching when hard cider sales, as a drink category, have grown 180 percent from 2011 to 2014 according to Impact Databank Cider Report. Even though hard cider was more popular than beer or wine during colonial times, only in recent years has it taken off much like microbreweries did in the Seattle area during the 1980s. Demand for cider apples is so high all of a sudden that there’s a supply shortage, according to Kaiser. Many cideries use a type of apple grown only for hard cider and these apples can’t be found in any grocery store. The rare apples are higher in tannins and have other flavor characteristics that make them a poor choice for eating fresh but make an excellent cider. Core Hero is now available at Whole Foods in Lynnwood and later in November at PCC Natural Markets at Westgate in Edmonds.